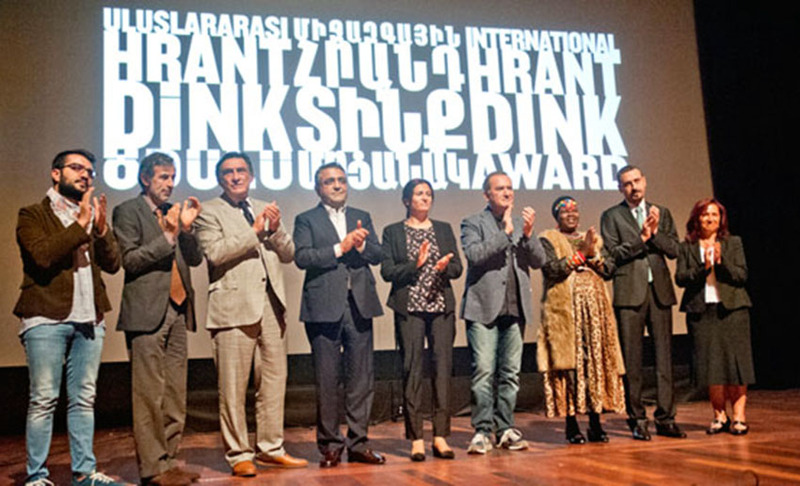 On 22 September 2016 a ceremony took place for the 8th annual ceremony of the Hrant Dink Award Granted. 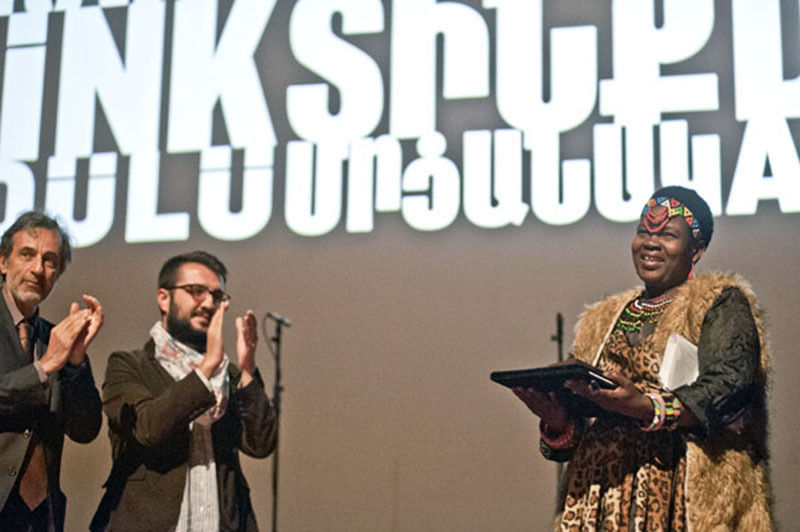 The laureates of the International Hrant Dink Award are the Diyarbakir Bar Association and Malawian human rights defender Theresa Kachindamoto, who works for children’s right. Diyarbakir Bar Association Chair Tahir Elçi was murdered on 28 November 2015 in Diyarbakir, while he was making a press statement. Deputy Chair Ahmet Özmen received the award on behalf of the association. Ahmet Özmen said inter alia: “I gratefully commemorate our dear chair Tahir Elçi, who devoted his life to the struggle for peace and freedom and sacrificed his life for this struggle….Tahir Elçi and Hrant Dink are two heroes, two human rights defenders who made history. People will remember them as intellectuals who made efforts for establishing a democratic order for the peoples of Turkey. Their only measure was rightfulness and justice. The ones who ordered their murder thought that their strong legacy will vanish and we won’t be able to follow their lead, but they are wrong.”…“Today, our most important duty and historical responsibility is to preserve and improve the legacies of Tahir Elçi and Hrant Dink. Demanding peace and speaking up for building peace is the only way.” During the ceremony, a video titled “Inspirations” was shown. People and institutions from Turkey and all around the world, who gave people hope about the future with their actions, were featured in the video. There were also people who objected to the coup and defended democracy on July 15. On 26 May 2015, at the 2015 Oslo Freedom Forum, Thai journalist Pravit Rojanaphruk describes his fight for democracy in his home country following the May 2014 military coup. Talking about his own arrest, Rojanaphruk denounces the limitations to the right to assembly, expression and movement in Thailand, as well as the regime’s efforts to build the illusion of a happy Thailand. Rojanaphruk concludes his presentation by reminding us that tolerance and dialogue are essential if Thailand is to become a democracy again. Jittra Kotchadet, long-time labour rights activist and human rights defender. Tewarit Maneechay, human rights defender and journalist for the independent media site Prachatai. Kengkij Kitirianglarp, a political scientist at Chiang Mai University; the two academics have consistently acted in support of human rights. Pranee Danwattananusorn, the wife of Surachai Danwattananusorn (a former political prisoner) and who has worked to support the rights of political prisoners and human rights defenders. Karom Phonpornklang, a lawyer who has defended numerous political prisoners. The full lists can be found in: THAILAND: Junta summons additional human rights defenders, activists, academics, and journalists — Asian Human Rights Commission.